MICROSOFT PROJECT SERVER: Implemented a Microsoft Office Project Server 2007 utilizing Sharepoint Services 3.0, SQL Server 2005, and Microsoft Project Professional client. 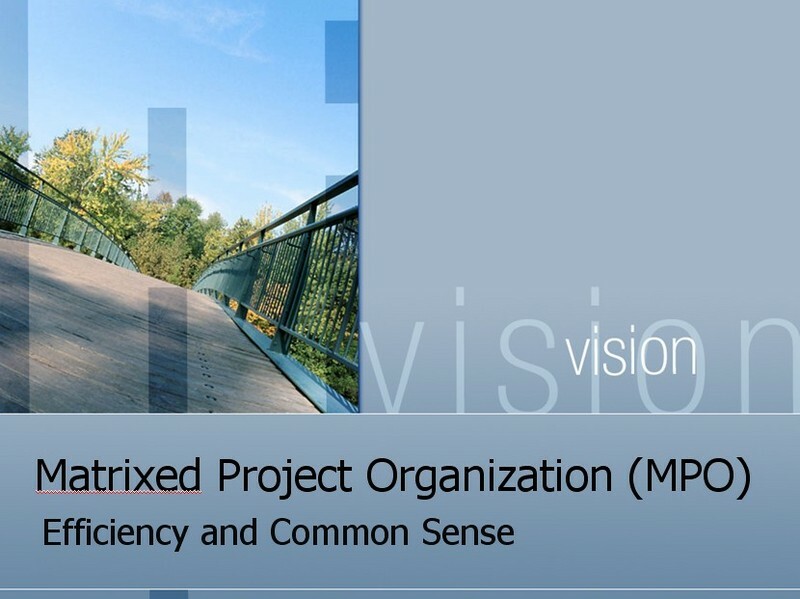 This solution was used to manage a Portfolio of 80 concurrent projects, 130 projects per year and the negotiation of 200 project resources across 40 Project Managers in the organization. 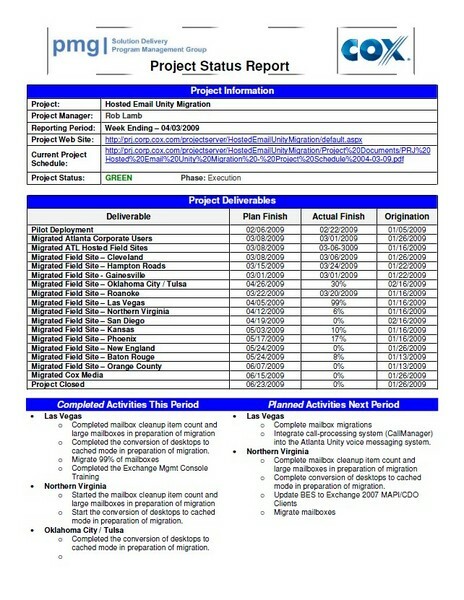 This implementation included the establishment of standards and workflow framework across the entire IT department and training of all Resource Managers and Project Mangers- - - - - - - - - - - - - - - - -DATA CENTER MIGRATION/CONSOLIDATION: Managed the 18 month consolidation project of multiple data centers into a single highly available Tier 4, 108,000 square feet facility including fully redundant subsystems (cooling, power, network) and compartmentalized infrastructure for failover and security access. The project successfully relocated 800 physical servers and migrated 400 physical servers to Virtual Machines using VMWare. Other improvements included consolidating storage into EMC Symmetrix and Clarion SAN arrays and centralizing backups using Netbackup and Sun’s StorageTek tape library. The project was successfully completed with zero unplanned downtime of systems and applications.- - - - - - - - - - - - - - - - -BILLING IMPLEMENTATION: Managed a Pay Per View Billing Implementation that successfully processes $12-$14 Million in monthly content provider statements. 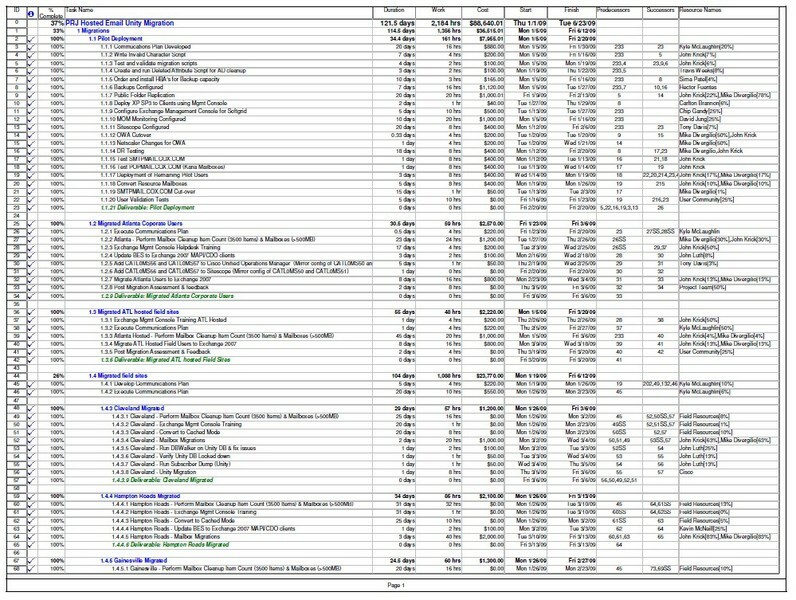 The solution included the integration of two external billing vendors to complete the automation. The system fully automated a manual process that previously required two employees to handle.- - - - - - - - - - - - - - - - -SYSTEM SALE: Managed the IT systems migration related to the system sale of 1.4 million customers to Suddenlink Communications. The sale consisted of customers from Texas, North Carolina, California, and Louisiana and Arkansas. The sale included separation of all desktop and server hardware, software licensing, billing and financial applications, and line of business applications. 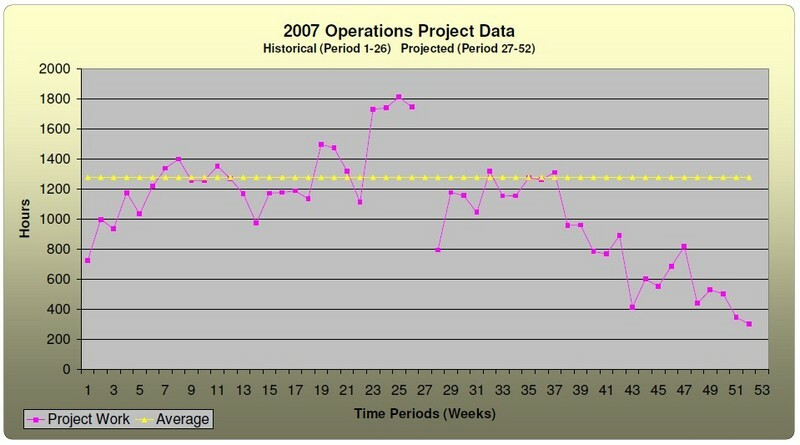 The transition occurred over a 30 day period with no unplanned downtime after six months of planning and coordination.- - - - - - - - - - - - - - - - -EXCHANGE 2007 CONSOLIDATION: Managed an eight month nationwide Messaging, Faxination, Instant Messaging, Blackberry & Call Manager consolidation of 30,000 users resulting in first year cost savings or avoidance of $450,000, 12,737 kWh of power, and the reduction of 13.3 metric tons of carbon emissions per year. 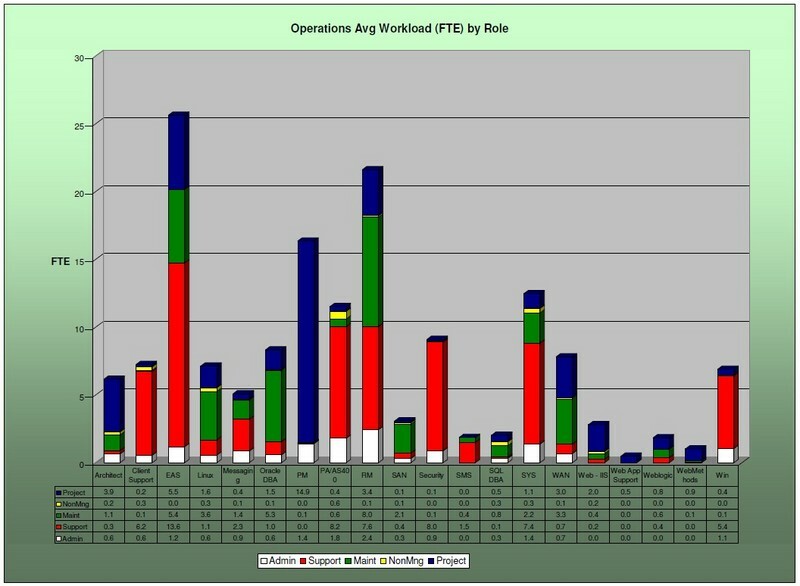 Directed the creation of an IT PMO for the Corporate Office including hiring the team, establishing project standards and processes, creating document templates, conducting project quality audits, overseeing project budgets, and evangelizing the organization in project management best practices, thereby promoting a culture that supports strategic planning methods, optimizes business and IT value of project investments and adapts a standard, programmatic method for achieving project success. Responsible for ensuring the success of a portfolio of approximately 130 IT projects per year for the Corporate IT Operations department, 80 projects managed concurrently by a team of fifteen Project Managers. Directly manages a $2.2 million capital budget and a $2 million expense budget that contributes to the management of the department’s $18 million budget. 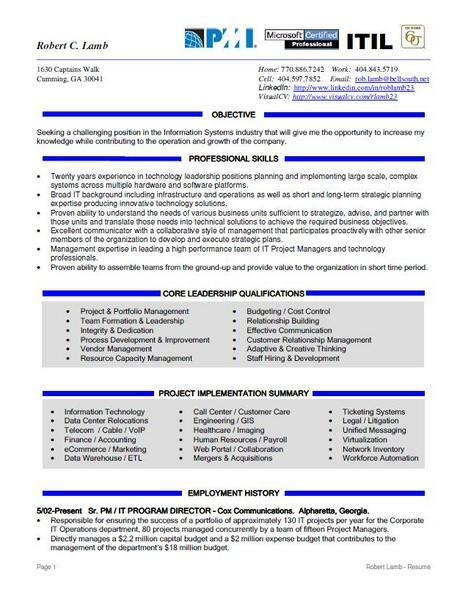 Primary point of contact and coordinator of technical project activities for the Corporate IT Operations division of Cox Communications whose duties include defining and achieving project objectives, developing project schedules, corresponding with the project team, managing adherence to production standards, and participation in the change management process. Responsible for adherence of the Change and Asset Management Processes across all project activities to identify conflicts and periodically in charge of the Change Management Board. Also responsible for balancing the Cost and Availability of infrastructure designs and justifying the return on investment. Responsible for individual project and the aggregate program’s strategy, quality control, decision-making, summary reporting, communication, customer relationships, escalations and departmental coordination. Oversee project managers throughout all assigned project’s phases, plan and control the following areas to ensure team is conducting projects that optimize the project’s investments and the benefits to the company. Responsible for managing the Corporate IT implementation and support of numerous Enterprise applications. Oversaw the implementation of a Citrix Server farm hosting multiple applications for 1200 users nationwide. Managed three technical Project Managers responsible for all phases of the project process. Responsible for the management and maintenance of over 100 Windows 2000 servers running numerous applications including Financial, Engineering, Marketing, Human Resources, Accounting, and Legal. Responsible for developing and maintaining the Information Systems Strategy and direction within the Corporate Engineering Division of Cox Communications. Responsible for the supervision of six employees and the HelpDesk Support calls for the department. Duties include the management of an annual $2.3 million capital budget, purchasing, hiring, training, software licensing, department standards, documentation and project priority assignments. Oversee high availability data center, establish contingency planning, disaster recovery, network security, monitoring and ensure daily file backups. Directly responsible for the support of 200+ workstations, 20 NT Servers and 2 Compaq Tru64 Unix Servers. Establish Procedures and Policies to ensure efficient end-user support, reliable network operation, and commitment to exceeding the requirements defined in the Service Level Agreement between MIS and the Engineering Department. Project Management of $5M Electronic Patient Record / Imaging Systems into Hospitals and affiliated Medical facilities in the New York Area. Responsible for managing client interaction including System QA, Development & Infrastructure issues and training. 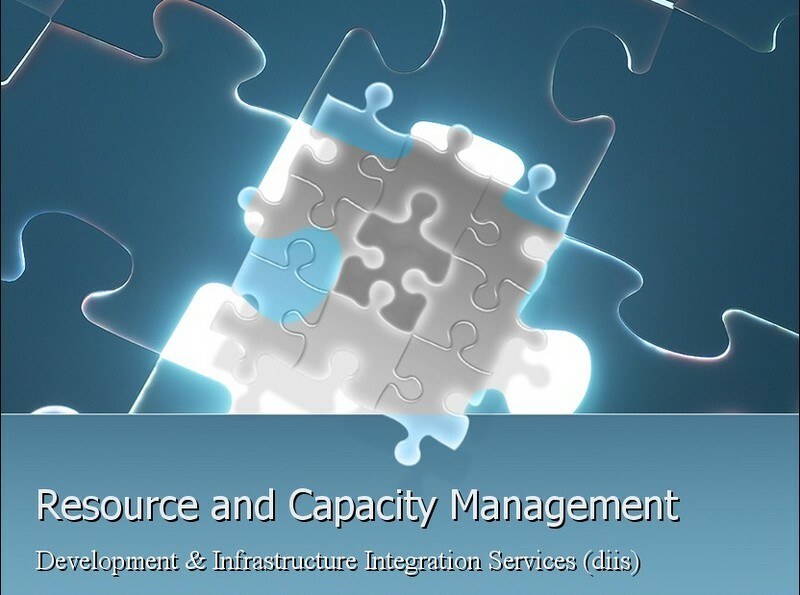 Developed departmental Integration procedures for 30 Integration Engineers. Managed the implementation of system hardware such as Racks, Servers (file, database, fax and print), RAID arrays, DLT tape drive, optical jukeboxes, scanners, printers, and numerous workstations. Note: IMNET Systems Inc. announces definitive agreement to be acquired by HBO & Company on July 23 ,1998. 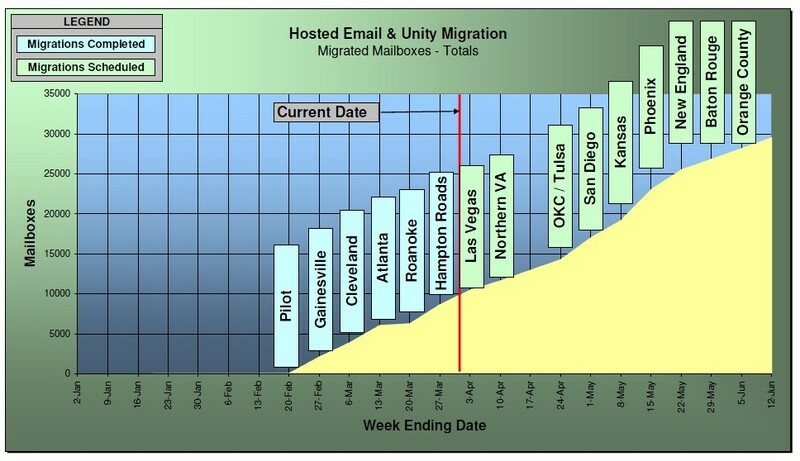 Managed 19 NT Servers and 800 Users on a Multiple Domain Network located at 6 Sites nationwide. Duties included specification and configuration of new NT Servers, upgrades to existing servers, daily NT server administration, and third tier support. Project Lead on multiple projects including the conversion of two 100 node site offices from Banyan Vines to Windows NT, Implementation of Microsoft’s SMS, and the implementation and management of remote access dial in solution for over 1000 users utilizing Windows NT Remote Access Services. Developed and Managed the Information Systems Department including the supervision of five technicians, capital budgeting, network security, server and PC builds, and disaster recovery. Designed and implemented the Local Area Network utilizing Windows 95 and NT 4.0 operating systems. 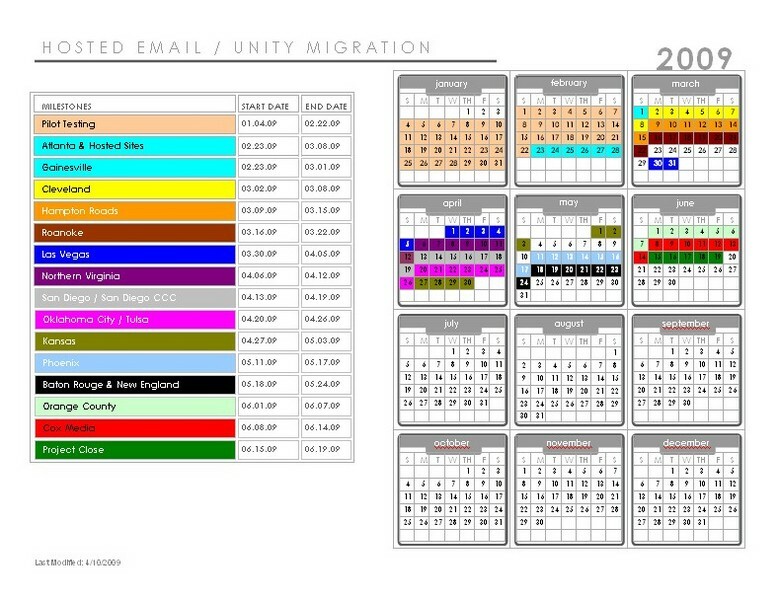 Managed migration project from UNIX to Windows NT file/application servers. Implementation of remote access solution for 100 users. Microsoft Email administration and maintenance. Note: CH2M HILL, a global engineering and construction company, with headquarters in Denver, Colo., has acquired Lockwood Greene for $95.5 million on Dec. 10, 2003. Responsible for all computer generated drawings and associated CAD standards for the project. Site surveys and coordination of schedule and project scope with Architectural business partner. Creation of a three dimensional computer animated video for the marketing department. 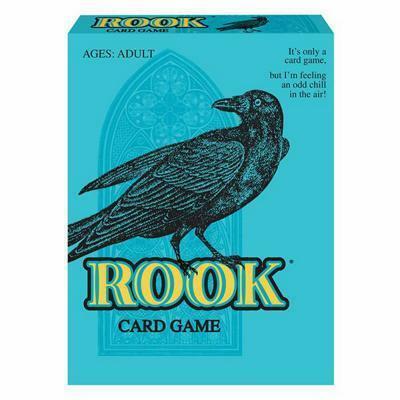 Note: After a sudden decline in fortunes in the late 1990s, the company declared bankruptcy in 2000 and was bought by the Baton Rouge, Louisiana-based engineering firm the Shaw Group. Provided CAD Designers with supervision, training, scheduling and quality control for numerous projects. Standards creation, CAD accounting documentation, and liaison between Project Management and the Process CAD group. "Rob is an extremely knowledgeable manager who is able to bring projects under his tutelage to completion in a demanding and complex environment. A key component to his success is his ability to understand the inner workings of the organization." Established an IT Engineering Support team of 5 to support the Data Center, mission critical applications, and 200+ desktops. Migrated all Data Center and Desktop infrastructure from chaos to a corporate supported standard including network, servers, PC’s, SAN, Backups, and monitoring. 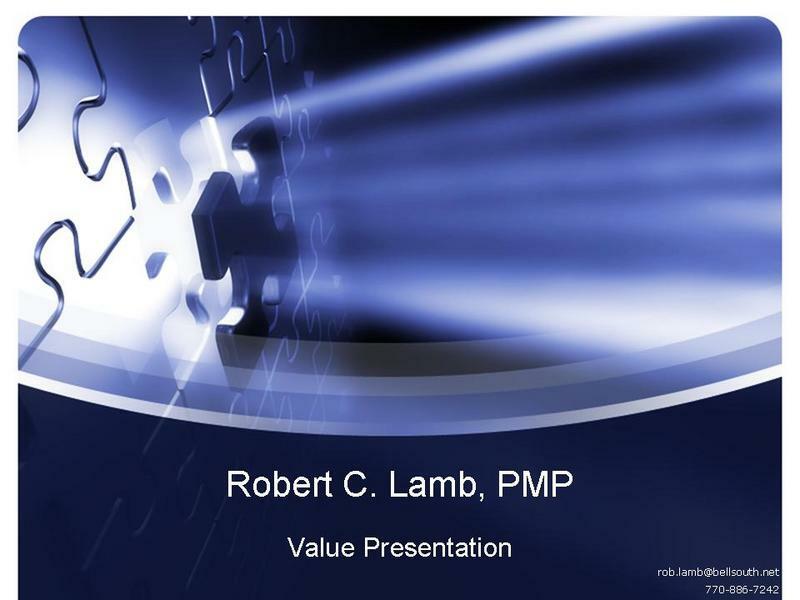 Created an IT PMO with 15 PM’s to manage 100+ IT Infrastructure projects per year including processes, templates, capacity management, and reporting. Evangelized culture from no project management to mandatory project management involvement through added value and structure. Twenty years experience in technology leadership positions planning and implementing large scale, complex systems across multiple hardware and software platforms. Fifteen years experience managing Operational objectives in a corporate environment and well versed in all aspects of IT Operations including support and maintenance of highly available infrastructure and applications, high availability planning and design, resource and hardware capacity management, virtualization technologies, 24x7 monitoring and continuous process improvement using Six Sigma and ITIL frameworks. Broad IT background including infrastructure and operations as well as short and long-term strategic planning expertise producing innovative technology solutions. Proven ability to understand the needs of various business units sufficient to strategize, advise, and partner with those units and translate those needs into technical solutions to achieve the required business objectives. Excellent communicator with a collaborative style of management that participates proactively with other senior members of the organization to develop and execute strategic plans. Management expertise in leading a high performance team of IT Project Managers and technology professionals. Proven ability to assemble teams from the ground up and the management expertise to lead a high performance team of IT Project Managers and system engineers including hiring and firing, setting individual performance goals, training plans, and performance evaluations. Eight years experience applying PMI methodology to the IT organization, establishing the processes and standards that provided the most value for the customers.